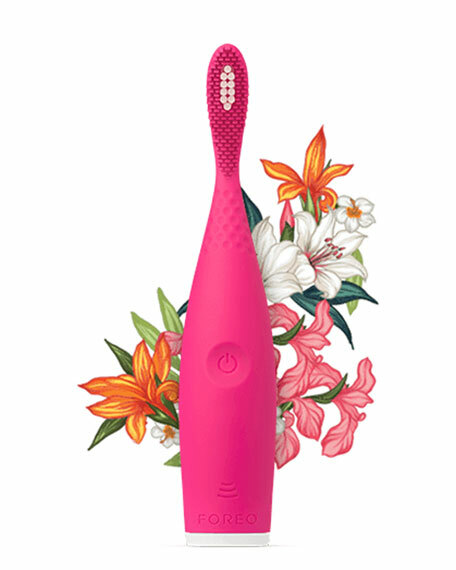 The revolutionary brush that brightens your smile and brings style to your bathroom, the ISSA play is the ideal introduction to sonic oral care. Experience the Sonic Pulse Technology in a battery-powered form for up to 6 months before upgrading to a rechargeable ISSA. 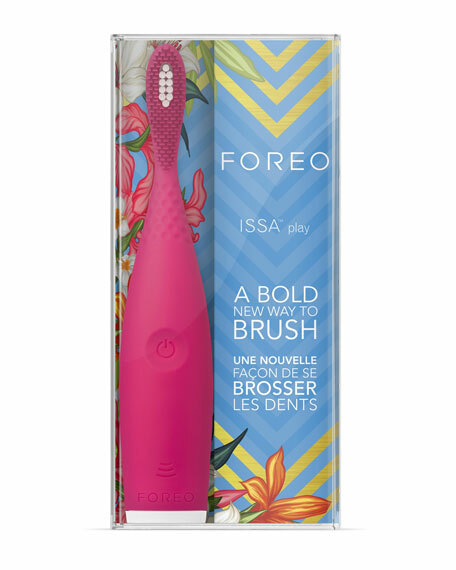 The ISSA play redefines the toothbrush, combining Sonic Pulse Technology with a unique hybrid brush head to be tough on plaque while gentle on gums, and look good doing it! Removes plaque, preventing cavities and tartar buildup. Provides a comfortable gum massage. Breaks up stains for whiter and brighter teeth. Promotes overall oral hygiene for a healthier mouth. Up to 9,000 high-intensity pulsations per minute create micro-sweeps that break up and remove plaque for effective cleaning while massaging gums to feel healthier and stronger. Inner PBT polymer bristles deliver stronger brushing of teeth for more vigorous cleaning. 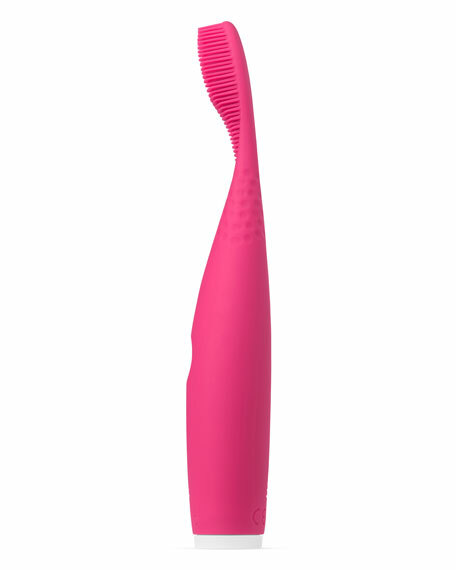 Outer silicone bristles cover the gums to massage them. Unique brush head harbors less bacteria thanks to the natural properties of silicone and PBT polymer. Sleekly designed & vibrantly colored to instantly brighten the bathroom sink. Ergonomic & lightweight, making the device easy to use and take on the go. Flexible brush head helps reach every area of the mouth. Soft silicone feels smooth both in the hand and on gums. No changeable brush heads needed. Use in the same way as a manual toothbrush. Apply your usual toothpaste on the brush. Use wide circular motions to brush for 2 minutes. Rinse mouth with water and wash your ISSA play.